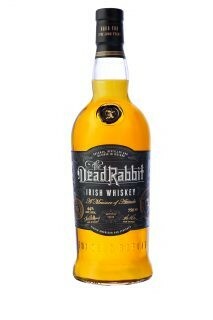 Awhile back I was contacted by a marketing specialist, or "communications expert" named Pam, who asked if I would be interested in sampling and reviewing The Dead Rabbit, a new blended Irish Whiskey. Free whiskey? Yes please! Of course, many of my friends voiced concerns that this might compromise the objectivity of my review, but by disclosing this fact to everyone I feel as though I'm being transparent. No Jedi mind tricks here. I'm not being paid for my views, and I'm as unapologetically honest as Dr. House. a mix of Malt and Grain in the ratio of 30% Malt and 70% Grain. Fermentation times are typically between 58-66 hours. Maturated for 5 years in ex-Bourbon Casks and then finished in 1/2 Size Virgin American Oak. The 1/2 size Virgin American Oak casks are what many companies commonly refer to as Quarter Casks. They're generally about 100-125 litres, half the size of typical bourbon casks (about 200 litres), and a quarter of the size of typical sherry butts (about 475-500 litres). Finish: medium length, honey, oak, vanilla, a bit of buttery croissant flavour near the end, which is pleasantly drying. With water and a bit of time, the nose becomes apple pie! Lots of baked honeycrisp apples (I'm not trying to be pretentious, I promise), cinnamon and some rich, dark toffee. The palate loses some punch with water, and the finish is a bit less oaky. So adding water is going to be a personal choice; the nose is better with water, but the palate and finish are better neat. Of course, it may be time and not water that changed the nose. Although this was only a 50 ml sample, I tried it twice, 25 ml at a time, about 2 weeks apart. This is an unapologetic, oak-forward whiskey. I can see The Dead Rabbit polarizing whiskey drinkers. The Dead Rabbit is oak-driven without making you feel like you're gnawing on a table. The pleasant, drying finish is exactly what I want in this type of whiskey. 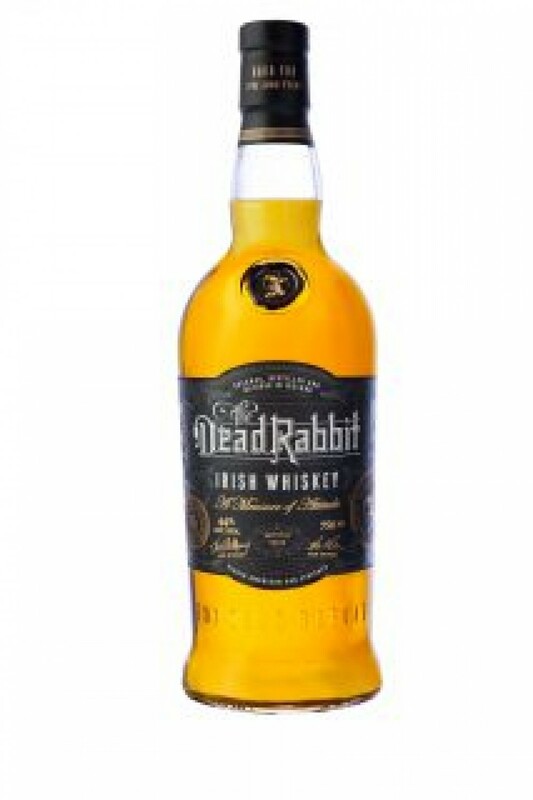 The Dead Rabbit is great on its own, but I can also picture a bottle of this whiskey on my table at a Saint Patrick's day gathering, poured into rocks tumblers and sipped - responsibly, of course - alongside a pint of Guinness or Kilkenny. @OdysseusUnbound, thank you for your review. Interesting. So you are suggesting that the controversial element of taste here is that there is a strong oak influence, and maybe also that there is no wine influence? I see that the average world price for this one is currently $ 40. This is not inexpensive for a 5 year old Irish blended whiskey. 3 months ago 1Who liked this? @Victor The lack of wine influence and the big presence of wood influence would, in my limited experience, put many off. It’s $50 in Ontario, about the same price as Jameson Black Barrel, which I believe I scored a point or two higher than this one. But then, I had a full bottle of BB. I’d say the two are comparable for me in terms of personal enjoyment, but their flavour profiles are quite different. This might be a good bridge whiskey for someone who was a bourbon lover looking to expand their palate, or an Irish whiskey lover looking to dip a little toe in to bourbon (because of the virgin oak presence).